JS Cutting Edge Landscaping in Tarrytown, New York, offers landscape design and masonry services in all of Westchester County. From building stunning stone walls to gracing your yard with spectacular flowers, we get our hands dirty so you don't have to. 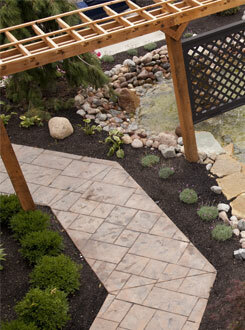 Our full-service landscape and masonry services will get your garden growing and keep it that way. We offer fence installation services to protect your property with durable, long-lasting materials. Our skilled staff designs and installs brand new fencing to meet your needs, while accentuating the natural beauty of your property's exterior décor. We also offer services for replacement fencing. Treat yourself to the clean, well-kept lawn you've always wanted with the lawn care and landscaping from JS Cutting Edge Landscaping. 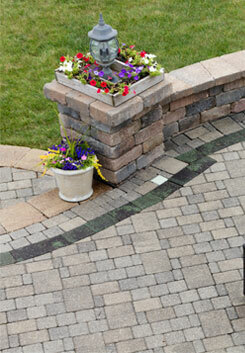 Our crew provides hands-on care for your lawn, ensuring it looks beautiful and green year-round. The lawn care specialists at JS Cutting Edge Landscaping will perform weekly lawn mowing keeping your property looking clean and spotless year-round. Turf is typically mowed at a height of 3 to 3 1/2 inches to keep it at it healthiest. We will also trim bushes, blow away debris, and recycle it with clippings. We can help you prepare your property for the harsh winter months with our fall cleanup services in October or November. During the cleanup, our professionals will thoroughly rake your yard to remove fallen leaves from turf, flowerbeds, and landscaped areas. We also clean out your gutters for you.